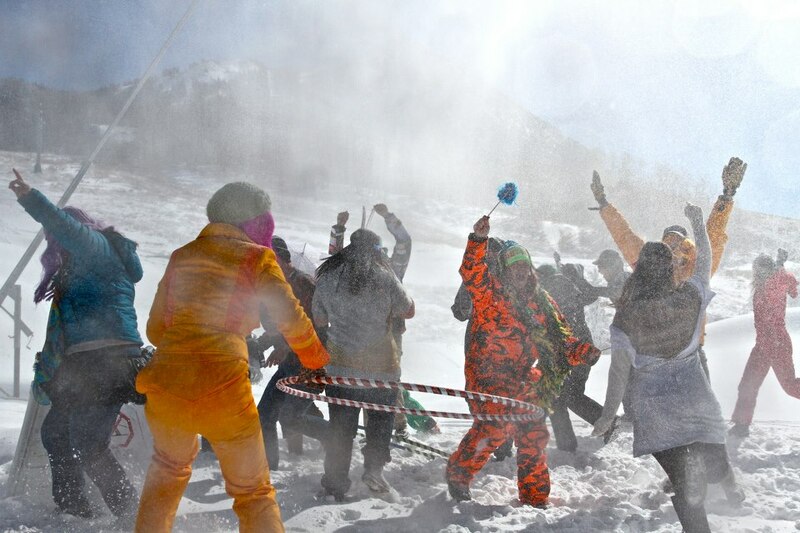 A joyful snowdance at Crested Butte Mountain Resort, Colorado. This Friday marks the largest shopping day of the year for Americans; a day when retailers offer the best deals for the holidays. Crested Butte Mountain Resort (CBMR) in Colorado believes that shopping for a vacation should be no different. The resort is releasing a 96-hour promotion, beginning on Black Friday through Cyber Monday that is 41% off the regular season rate. The limited time offer includes airfare, four nights of lodging and three days of lift tickets, beginning at $649, plus taxes and resort fees per person. The Black Friday Crested Butte package includes airfare, four nights of lodging at the Grand Lodge and three days of skiing at CBMR. The $649 starting price is based on double occupancy at the Grand Lodge Crested Butte and may fluctuate with airfare. Available dates for travel are Jan. 4 – Apr. 1, 2013, with blackout dates of Feb. 7 – 11, 2013 and Mar. 7 – 16, 2013. Restrictions do apply with a maximum of $250 credit per airline ticket. To make a reservation call Crested Butte Vacations at 800-600-2803. Last week’s announcement of the Telluride-Crested Butte Ultimate 6 Pass just became a better deal for Black Friday. Based on limited availability, Liftopia.com is offering the interchangeable lift ticket product to both resorts with prices beginning at $299 from Nov. 20 – 26, 2012. This lift ticket product is currently available until Dec.15, 2012 for $399, making it the perfect gift this holiday season. To buy the Telluride-Crested Butte Ultimate 6 Pass visit www.skicb.com/ultimate6. The time to book a trip to “Colorado’s Last Great Ski Town” could never be better. Lock in a ski vacation at an unbeatable price as the resort is gearing up for their Opening Day celebration, filled with snow blessings, costumes and corduroy on Nov. 21, 2012. For more information about Crested Butte’s lodging, conference, meeting facilities, and special packages, call Crested Butte Vacations, 800-600-2803 or visit the web site at www.skicb.com. For information on ski area real estate opportunities call 970-349-4999 or 877-805-6109 or visit the website at www.cbliving.com.